Synopsis: Before the 1990s, China’s telecommunications sector was a lackluster monopoly featured by poor-quality service and inadequate capacity. Today the country boasts a dynamic telecommunications industry with the world’s largest communications network and user-base with over 460 million telephone subscribers. China’s accession to the WTO in 2001 has opened this huge developing telecommunications market to foreign participation and investment. 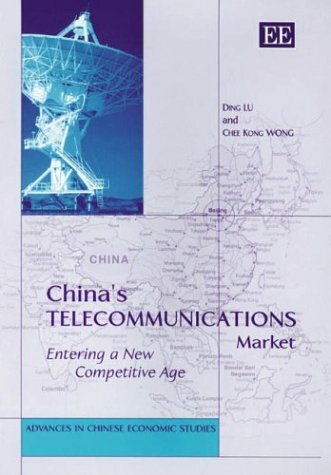 The authors examine the singularity of the Chinese experience in building up its extensive telecommunications network in merely a decade, by reviewing China’s national industrial policies and institutional reforms within the industry. The reader will find in this volume a unique and in-depth analysis of the interplay between political and economic forces amidst the industry’s structural overhaul and regulatory reforms. The accounts of industrial features and market conditions are enriched with up-to-date data, which are extremely useful for appreciating the development and prospects for this fast-growing market, set against the backdrop of China’s accession to the WTO. Scholars of China or Asian studies and researchers of information-communications industry and Asian/China studies will find this work of great interest, as will governmental policymakers, both in China and beyond. For foreign business practitioners eyeing this market, this volume provides a helpful guide to understand China’s various interests and public welfare considerations that motivate changes in policies towards foreign investment and participation.